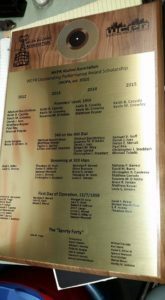 For those of you who were unable to attend the plaque ceremony last year, here’s an image of the plaque commemorating the donors to the WAA Outstanding Performance Award (WOPA). A big thanks to Scott Orshan ’77 for designing and getting this plaque made – it looks beautiful! Hello all! WAA President Mike Bocchinfuso checking in here. First off, a very happy 57th birthday to our favorite college radio station! A big thanks to everyone who’s been a meaningful part of the history of WCPR, as well as those friends, family, and supporters who showed their solidarity with the station in some way. To all the audio wizards, cabinet builders, last-minute mobile unit DJs, record library sorters, impromptu interviewers, cable untanglers, and more who have all left their mark on the history of the station…we salute you! As you know, this year the WCPR Outstanding Performance Award scholarship became self-aware…I mean…was able to be awarded this year, and is actually currently in the closing stages of being awarded for a second time. The students in the running are all very qualified and dedicated to the station, so it will definitely be a tough choice. As I always say, we could not have done this without the amazing show of support from our excellent alumni. We’ve got the best alumni, don’t we, folks? Next off, since it’s seemed a bit quiet on the website front – we’ve been trying to streamline and integrate our various media presences so the website updates get pushed through to our social media presence uniformly. It was no small feat but a major round of applause goes to Matt Keyser for fixing that! Now, what’s in store for 2017? Besides the lights going out on Broadway per the prophecy of Billy Joel, of course. We’re going to be ramping up efforts to document WCPR’s history under the leadership of our Historian, Derek Ives. Current station Publicity Manager Emma Murphy actually reached out to us with the great idea of putting together a timeline of members and Derek will be working with some other WCPR alumni to help them see this project through. Our Events Coordinator Stan Switalski has got some events in the works for 2017 as well – make sure you save the date of Saturday January 21, since we’ll be doing our first movie night of the year then – plus a few ideas for other events are in the works that we think you’ll enjoy. Oh, yeah – in case you’re not on the WCPR Alumni Association mailing list, you can sign up at this link. 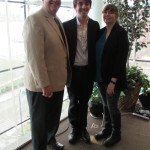 This past Saturday, April 2, the WCPR Alumni Association was proud to award its very first WCPR Outstanding Performance Award (WOPA) to Andy Waldron ’17. 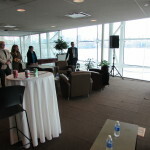 The reception was held on the 4th floor of the Babbio Center, and was attended by WAA members, the WCPR e-board, and Andy’s parents. 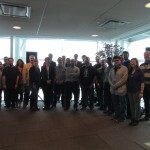 The event began at 3 PM, when snacks and drinks were served. 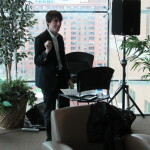 Keith B. Cassidy ’09, Scholarship chair of WAA, served as the Master of Ceremonies. The first speech was given by Melissa Fuest, Assistant Vice President, Alumni Engagement & Annual Giving and Executive Director, Alumni Association for Stevens. 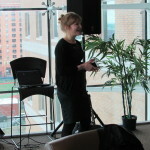 Melissa praised the efforts of the WAA in building a bond between the current students and those who had gone before. 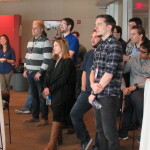 As is par for the course at Stevens, the festivities were interrupted by a fire alarm on the 3rd floor of Babbio, forcing the attendees to evacuate until the smoke could clear. Thankfully, someone outside had brought donuts. Once back inside, next up was Mike Bocchinfuso ’08, President of the WAA, who gave a thoroughly entertaining, in-joke-laden speech that was equal parts soul and LOL. Not to be outdone, Andy gave an equally entertaining and clever acceptance speech that included a detailed update on the state of WCPR and its plans for the future. Attendees socialized, old friends caught up, and lots of Beef Wellington was consumed. All in all, it was a successful event. Attendees wait for the smoke to clear, and enjoy donuts. Photos by Scott Orshan ’77. When disaster strikes, how do we keep the public informed? Broadcasting systems can be as vulnerable as we are, yet they have a crucial job supporting our communications. How have we evolved and created systems that can continue running through severe weather, terror, or other disasters? The WCPR Alumni Association is looking to answer that question with “Broadcasting Through Adversity” – a panel discussion featuring broadcast industry leaders sharing their experiences and ideas about creating reliable, sustainable systems. The event is free, but please take a moment to register at www.stevens.edu/events/broadcastingthroughadversity. These are the candidates for the WCPR Alumni Association Council. Members, please email your votes from your primary email address to elections@wcpralumni.com by October 3rd! For each position, please select only one candidate. Please indicate your name and class year. 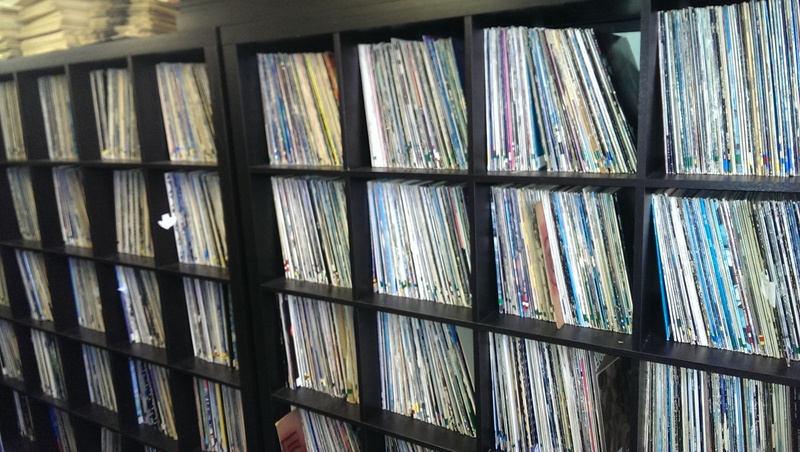 In the inaugural issue of the WCPR Alumni Newsletter, the Undergrad Update mentioned that the station had invested in new shelves for the record library, since the old ones were starting to bow under the weight of the collection. You asked and now we’re gonna deliver – here’s some photos! 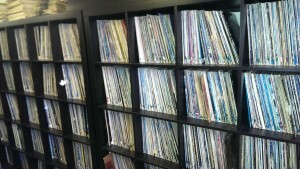 Sweet shelves for drastic plastic! 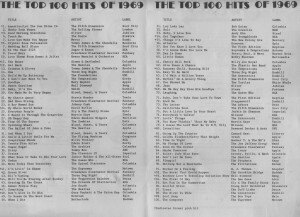 Based on a hot tip from our own Ron Harris, we re-examined the back side of the Top 100 of 1969 document we presented on this blog. And guess what we found? Who are THESE handsome gentlemen? Actually, no need to ask – their names are all provided, along with the programming schedule from that semester! It also explains why Ron was interested in the back of the Top 100 – his photo is in the lower left. 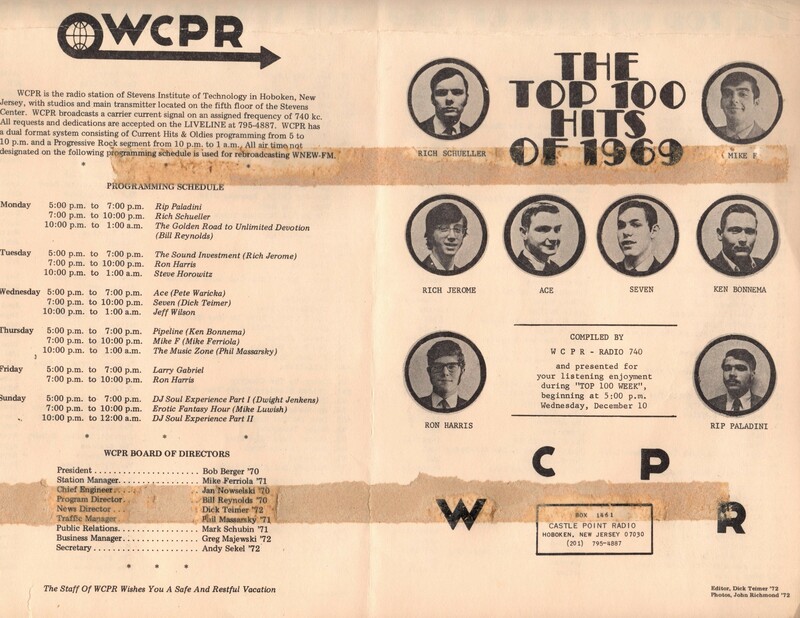 This is an excellent artifact of the era – the old logo, the show schedule, a list of the Board of Directors, and photos of WCPR members from the day. Thanks for pointing us in the right direction, Ron! Thanks to Matt Corrado for scanning this for us! Matt (the current WAA historian and half a webmaster) here. I’m starting a new series of posts featuring documents found in the WCPR archives. Each document has been lovingly scanned for your viewing pleasure. 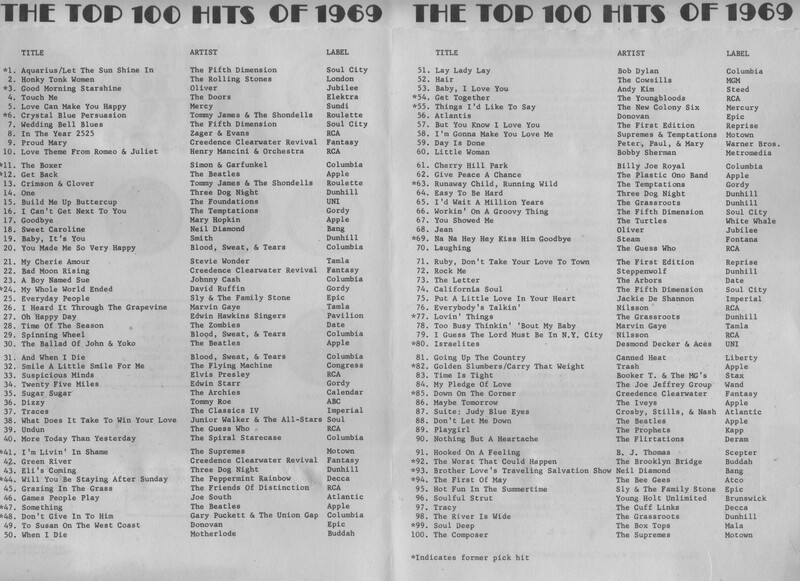 Starting things off with a blast from the past, this document from the WCPR vault shows the top 100 hits for 1969. And what a year it was (besides the important political and historical stuff)! Henry Mancini and His Orchestra was in the top 10 with “Love Theme from Romeo and Juliet”, though you may know him from his themes to “The Pink Panther” and “Peter Gunn,” as well as over 100 movie themes for Universal Pictures. The Edwin Hawkins Singers had a hit with “Oh Happy Day”…yeah, remember that one? 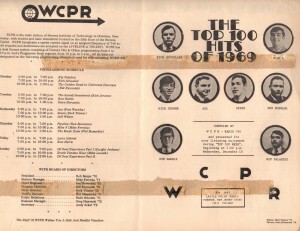 Take a look and lets us know in the comments if you’ve got any memories from that era of WCPR. Or, if you weren’t born in 1969, let us know if you’re still listening to any of this music, or if it all makes your ears bleed. Note: All disparaging comments about The Doors will be judged and found wanting. Welcome to the WCPR Alumni Association website! We formed WAA so that WCPR alums could get together, enjoy the company of friends and make new ones, and support the undergrad WCPR members and the station as a whole. WAA is also in charge of the WCPR Outstanding Performance Award (WOPA) which is a scholarship for WCPR undergrads who go above and beyond in their efforts to sustain and improve the station. 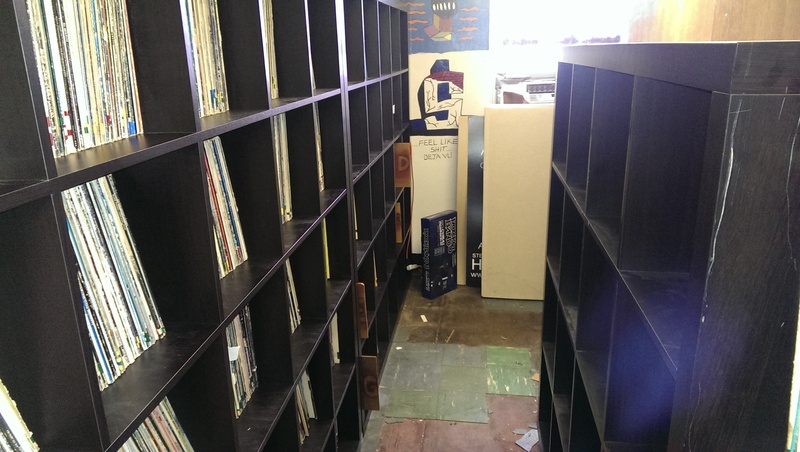 Pay attention to this space; over the next few months we’re going to try and fill in with event announcements, scholarship updates, and historical items from the WCPR archives. If you’ve got WCPR-related content you’d like to see featured here, contact admin@wcpralumni.org.